All our teams work with agile project management methods. 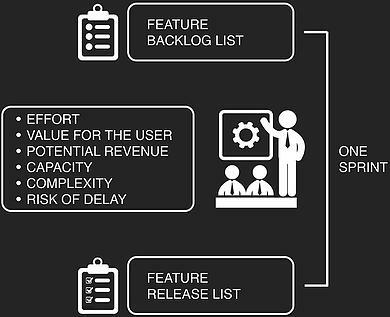 We are able to keep up with our release schedule, through a set feature backlog, divided into monthly sprints, secured through weekly priority and daily stand-up meetings. 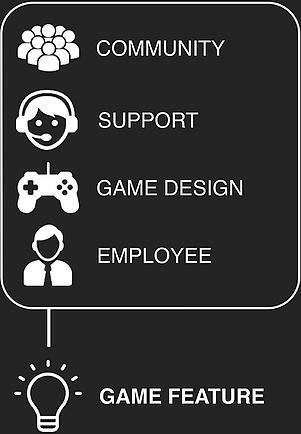 We use the feedback from our dedicated community, our experienced support team, our creative game design team and every other employees as source of input. 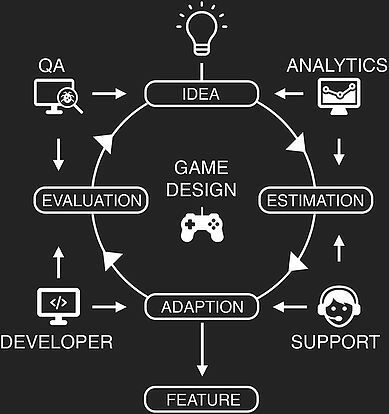 Our features are created in an iterative process, constantly shaped through our development, QA, big data as well as support teams, whilst the process is coordinated by the game design team. Weekly priority meetings held by the game design, development as well as management team ensure that we pick the best possible features for the next release / sprint. 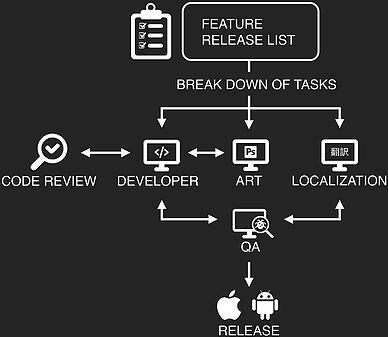 We break down the upcoming tasks for a new feature and assign them, based on the nature of the task, to the responsible department. We ensure a high quality of our features through extensive code reviews, automatic unit and integration testing as well as “always running software“ ensured by our automatic build systems.